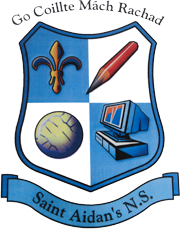 Congratulations to the St. Aidan’s N.S. 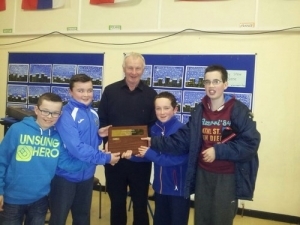 team who came first in the first round of the Cumann na mBunscol Sports Quiz which was held recently in Foxford. 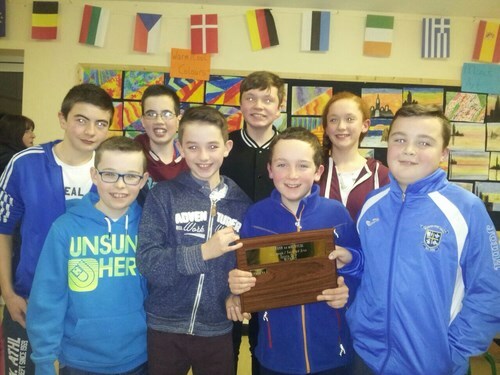 Below are the members of the two teams from St. Aidan’s N.S. Kiltimagh who took part in the first round of the Cumann na mBunscol Sports Quiz held recently in Foxford.